North Carolina A&T State University (7) and Howard (6) led the way in this year’s All-MEAC Conference football voting with a combined 12 student-athletes named to the first team. The team was voted on by the MEAC’s head football coaches and sports information directors. For the fourth consecutive year, the MEAC’s Offensive Lineman of the Year award will remain in Greensboro, N.C., as North Carolina A&T State’s Micah Shaw received the honor. 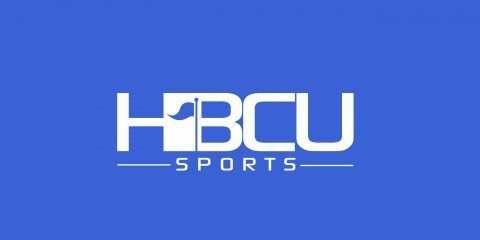 Howard’s Dedrick Parson was tabbed as the league’s Freshman of the Year, while North Carolina A&T State’s Sam Washington was selected as Coach of the Year. In a partnership with the National Football Foundation (NFF) & College Hall of Fame, the league’s Offensive and Defensive Players of the Year will be announced as part of the festivities surrounding the 60th NFF Annual Awards Dinner, Tuesday, Dec. 4, at the Hilton Midtown in New York City. The event will be streamed live at 9:30 a.m. via the NFF website. Shaw was a key player on North Carolina A&T State’s offensive line, as the unit produced the lone 1,000-yard rusher in the MEAC this season. A two-time MEAC Offensive Lineman of the Week, opposing defenders had trouble getting to the Aggies’ backfield as the unit only allowed 12 sacks in the regular season. Despite the departure of four starters from last year’s unit, the Aggies finished no less than third in the MEAC in scoring offense, total offense, rushing offense, sacks against, first downs, third down conversions and fourth down conversions. Parson became the second consecutive student-athlete from Howard to win Freshman of the Year. The Philadelphia, Pa. native finished third in the MEAC in rushing with 706 yards and second with nine rushing touchdowns. He exploded onto the scene midway through the season, as he rushed for 148 yards and two touchdowns at Morgan State and a 26-carry, 149-yard performance versus Florida A&M. He closed out the season with a three-touchdown performance versus Bryant. Washington kept the Aggie train rolling, as North Carolina A&T State won its second consecutive outright MEAC championship and fourth title in five years in his first season as head coach. Under Washington’s watch this season, the Aggies won their third straight contest versus a Football Bowl Subdivision (FBS) opponent, while also defeating the No. 6-ranked team in the Football Championship Subdivision (FCS) ranks. The Aggies finished the regular season ranked 11th in both the STATS FCS and FCS Coaches Polls. Washington is the third person in school history, joining Hornsby Howell (1968) and George Small (2003), to win a conference title in his first season as the Aggies’ head football coach. North Carolina A&T State will represent the MEAC in the Air Force Reserve Celebration Bowl for the third time on Dec. 15 in Atlanta, Ga.